Mathematical Go Chilling Gets the Last Point written by Elwyn Berlekamp and David Wolfe provides a one hundred page detailed analysis of the (very) late endgame from the point of view of combinatorial game theory. 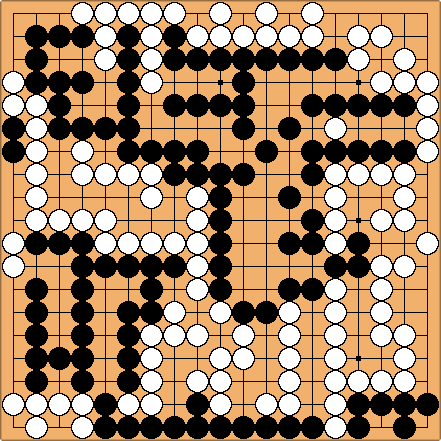 The second half of the book is a detailed sixth page treatise on the rules of go both from a top down perspective (Appendix A: Rules of Go -- A Top-down Overview) and and bottom up view (Appendix B: Foundations of the Rules of Go). The book has been published in both hardback, Mathematical Go A K Peters ISBN: 1568810326, and soft cover, Mathematical Go Endgames Ishi Press, editions. "A situation which will baffle professionals" is illustrated in this problem by David Wolfe that can be solved with the methods presented in the book. "A 9 dan professional from the Nihon Ki-in spent 4 hours trying to solve this problem and failed." Presented in http://youtu.be/rNvP6a8sTnI?list=PL329A9A14A4F7D8E7 at 5:30.